The implementation of technology into education is a strange topic, in that it has been a point of discussion for a long time but also continues to stay relevant to the forefront of educational debates. As technology evolves, it is natural that fresh debate on its role in education will occur. Computer labs, now decades old in many schools, are treated by some with similar scepticism that the more recent introduction of e-readers received. What must be recognised is that technology will eventually have an ever closer union with education. But at Genie Tutors, we know we must also make an effort to use educational technology responsibly and effectively when we choose to use it. There are, of course, recent successes to talk about. Last month UK born astronaut Tim Peake delivered a lesson from the International Space Station to around 300,000 excited school children across the country. It shows the capacity and scope of how technology could be used positively. 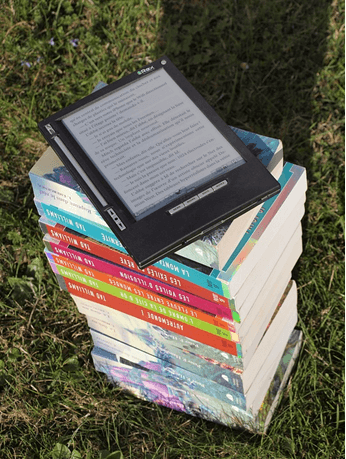 Can an e-reader beat the real thing? However, the use of e-readers is not such a clear cut success. There have been some benefits, with reports of children who were reluctant readers (particularly boys) becoming more involved in reading through the introduction of e-readers. 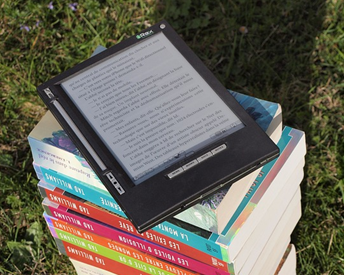 E-readers can also be useful for schools stuck on space to accommodate a library, or for remote schools that have difficulty accessing local libraries. 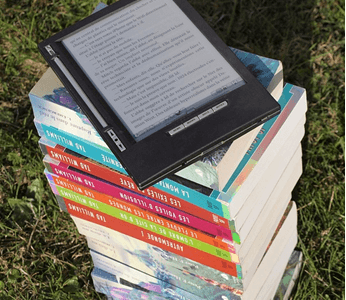 However, many e-readers only display in black and white, don’t display images or have small screens and fonts that are designed for more advanced readers. At Genie Tutors, we also often find that e-readers can sometimes be used as ‘babysitting’ tools, where a flashing screen can distract from actual learning and interaction with a teacher or private tutor. Because a child only has limited time with a tutor, we try to get the most out of those valuable hours as possible. There is also evidence that too much screen time for young children can be damaging and reading offers a chance to move away from those screens. This means that vital components of reading a book as a child are often missing from the electronic version. In short, it is very difficult to put a simple ‘good’ or ‘bad’ label on the use of e-readers in education. It shows that when technology is introduced to education, it must be done in a well thought out manner and for the right reasons. Technology in a broader sense does, however, offer opportunities for children to learn in a new way. Namely, because technology is ever evolving, it creates a situation where both an educator and a student can learn about technology at the same time. At Genie Tutors, we really try to encourage an environment where children are able to bring their own ideas out and share with everyone, as demonstrated in this blog post from last month. However, if technology is used at our centres, we make sure it must also be a relevant and useful tool towards an educational goal. What can be said for certain is that technology is bound to make more of an impact in education as time progresses. However, there must also be a sense of precaution. The solution is not to inundate children with technology at all times. At Genie Tutors we are very aware that technology has to be used in the right way to see noticeable benefits. With schools operating on ever tighter budgets, they must be sure that the steps they take to incorporate new technologies into education will be an effective use of time and money. Previous Post World Book Day – why dressing up gives children a great access point to learning. Next Post The Genie Tutors approach – how we look to make positive change.